The Argonics Speedy Sleeve Poly Curb Box System was designed to keep inventory space to a minimum. The universal system is manufactured using corrosion-resistant polyurethane and durable PVC pipe that can be easily adjusted. Featuring the same technology as our Speedy Sleeve Repair Sleeve, the polyurethane cap has an embedded magnet and allows for easy tracer wire installation. Requires minimal inventory space – no need to store multiple sizes. 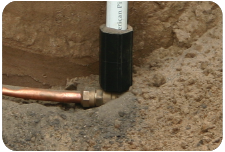 Our corrosion-resistant arch style curb box covers the valve but does not connect mechanically. The flexible polyurethane will protect the valve and will absorb any pressure from above. 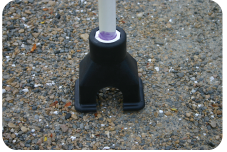 Our Minneapolis style curb box has a PVC threaded insert that protects the valve from corroding and ensures alignment of the valve and the box.